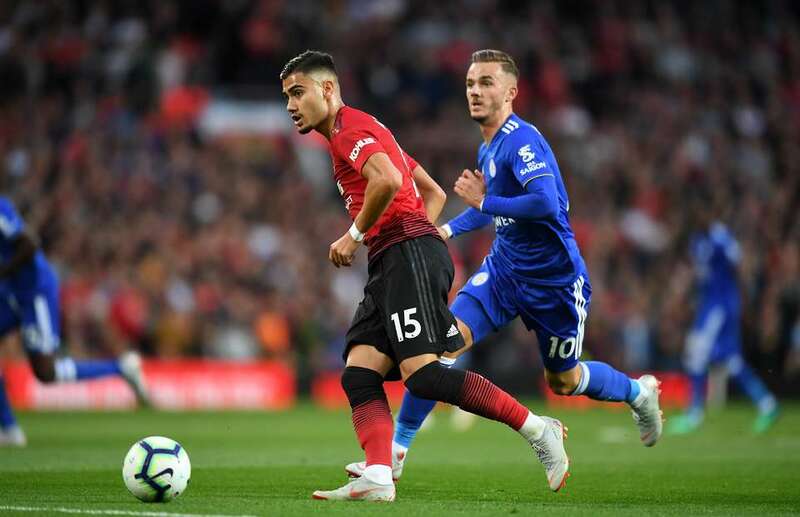 Andreas Pereira (15) was superb against Leicester City this past weekend. The Premier League 2018/19 season got underway this past weekend with all 20 teams in action. The top five from last season all won including second placed United who defeated Leicester City 2-1 on opening day. Two of the new comers-Cardiff City and Fulham lost their first games back in the top tier of English football while the other, Wolves played out a two all thriller with Everton, a game that also produced the first red card of the season. Here are the 11 players that stood out for me in game week one in a 4:3:3 formation. GK. Wayne Hennessey (Crystal Palace). Hennessey was at his very best on a weekend in which not so many keepers produced mind blowing performances. The Welshman produced two stunning saves to deny Aleksandar Mitrovic in either half on Saturday to ensure his side keeps a clean sheet. With new signing Vicente Guita waiting to pounce, performances like the one on Saturday are the only thing to keep Hennessey as number one at Selhurst. RB. Aaron Wan-Bissaka (Crystal Palace). This was an impressive performance by the 20-year-old. Wan-Bissaka saw off Ryan Sessegnon, Andre Schurrle and Aboubakar Kamara without breaking sweat. He then outmuscled Aleksandar Mitrovic (of all people) in a 50-50 before putting the ball on a plate for Wilfried Zaha to finish late in the game. Van Dijk completed 60 of his 61 passes (98.4%) in Liverpool’s thumping 4-0 win over West Ham. That is just how good he was on the day. Ever since he arrived at Anfield, the team looks more organized defensively and they looked even better thanks to him on Sunday afternoon. CB. Jan Vertonghen (Tottenham Hotspurs). The big Belgian hit the ground running in the 2018/19 season with a goal and commanding display at the heart of Spur’s back line. Mauricio Pochetino will require such performances from Vertonghen that is if they are to somehow win their maiden silverware that has eluded them ever since the Argentine tactician joined from Southampton. The goal capped a fine display by the young Englishman and this might be the beginning of a fresh start for Shaw who has had a troubled stay in Manchester ever since completing his move from Southampton three years ago. MF. Andreas Pereira (Manchester United). Against Leicester on Friday, it was more of a test for Pereira who has in the past failed to find his way into the first team at Old Trafford and he past it with flying colors. With starter Nimanja Matic injured, manager Jose Mourinho will be backing on the young star as per now and no one will be asking questions if Pereira puts in more displays like the one he put out on Friday night. Since the start of last season, Neves has scored more goals from outside the box than any other player in the top four tiers of English league football (seven). Against Everton on Saturday evening, the Portuguese international scored a cracking free-kick, the first (free-kick) of the new campaign as his side managed their first point on return to the top tier. The Brazilian-Italian is supposed to be key to Chelsea’s new set up under Maurizio Sarri and he did exactly that against Huddersfield on Saturday as he dictated the tempo of the game and scored from the spot to make it 2-0. He was at times out muscled in the centre of the pitch but looking at his physicality, it will happen more often in the near future but how he responded in his first game was what caught my eye, running tirelessly and starting attacking plays more often than anyone else on the pitch. Pereyra has had a hand in each of Watford’s past six Premier League goals, scoring five and assisting one. Two of those five goals came against Brighton in the 2-0 win last weekend and that is just enough to get into my team of the week. Lively, dangerous, two goals and looks set to continue from where he left off last season. Like i said at the start of the season, if Liverpool are to challenge City for the title, Mane has to step up and compensate the goals Salah will nott score this season and looking at the West Ham game, he seems ready to do exactly that. Richarlison found the net with his first two shots in the Premier League for Everton, having failed to score with any of his previous 53 efforts as a Watford player. That is exactly how lethal the Brazilian was on Saturday as 10 men Everton held on for a point against Wolves.